LEADING COACH touring company Greyhound Australia has initiated a six-month trial of a Yutong T12 premium touring coach - to be known locally here as the C122 – to determine if further acquisitions of the product will be added to its fleet, it’s reported. Coach touring company Greyhound Australia is embarking on a six-month Yutong trial. Speaking exclusively to ABC magazine, Greyhound Australia Pty Ltd CEO Alex de Waal says the company is, "delighted to be investing in the introduction of a Yutong T12 coach to its fleet." 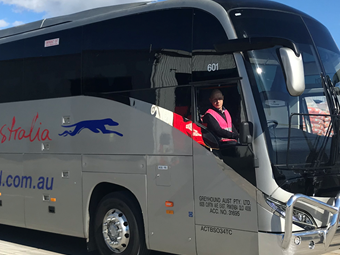 "Over the past 12 months we have been working with ABC Bus & Coach Sales to gain an understanding of the Yutong product and its potential to support Greyhound Australia customer expectations," de Waal said. "Our customers expect a reliable, quality product that exhibits the highest safety standards. We have therefore been very diligent in researching the Yutong product. "Our fleet manager and GM of operations have conducted site visits of the Yutong production facilities and we are confident in the potential application of the T12 product on a number of our service routes. "Over the next six months we will trial this coach to confirm the veracity of our research prior to considering further acquisitions. "The vehicle will commence services on the Brisbane to Toowoomba route for the week commencing 25 June, following driver inductions being completed this week," de Waal explained. It is believed the Greyhound Yutong C122 (T12) is one of 10 such vehicles in use or on order throughout Australia in Cairns, Brisbane, Sydney, Melbourne and Perth. It uses a Mercedes-Benz OM457LA engine matched to ZF 6AP2000B automatic transmission with ZF axles and steering. The engine and gearbox combination is a first for Yutong in Australia, the company confirms. Greyhound's entire fleet currently numbers 250 units. It consists of this new Yutong, plus vehicles in the following combinations: Volvo / Irizar; Scania / Irizar; Scania / Mills-Tui; Volvo / Irizar; Mercedes-Benz / Irizar; Iveco / Irizar; Scania / Irizar; Scania / Qld Coach Company; Motorcoach Classic III; Mitsubishi Rosas; Toyota Coasters; and Higer Adventurer 4x4s. Greyhound Australia is Australia’s only national coach service, it’s stated. It provides comfortable, hassle-free, and affordable coach services to people of all ages. It travels across Australia every day ensuring that its passengers can get to their destinations, both on and off the beaten track, and truly experience the beauty of Australia, the company says. It has been operating for 110 years and is the leading coach company in Australia, it states. From servicing just one town in the beginning, Greyhound Australia's network now covers most of the Australian mainland, employs over 600 people, and services more than 5 million passengers over 38 million kilometres a year with a safety record second to none, through its express and resources business. 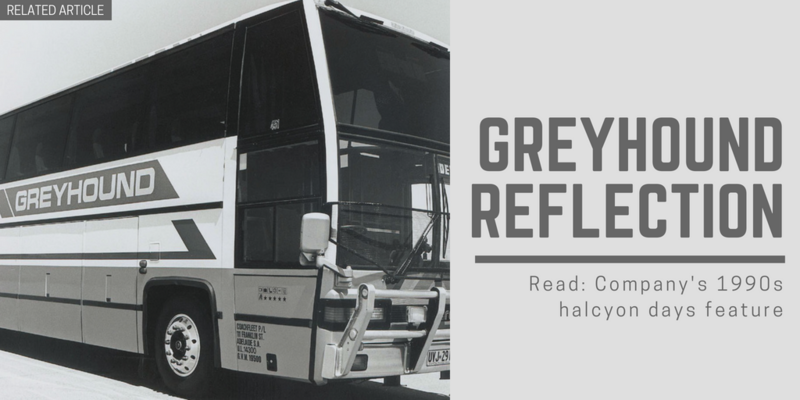 Greyhound says it is one of the oldest coach companies in the world, and it uses its knowledge and experience in its national fleet operating 365 days per year. Every coach is driven by an experienced ‘coach captain’. Greyhound Australia coaches are built with everything a modern traveller desires: USB chargers on every seat, free Wi-Fi connectivity and reclining leather seats, the company says. Every bus in its fleet is fitted with large, panoramic windows and oversized seats, plus most of its buses have on-board bathroom facilities.